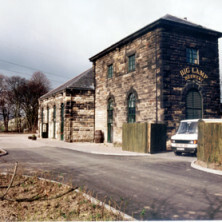 The Newburn Water Pumping Station was built in 1854 on a part of the site of the Battle of Newburn. 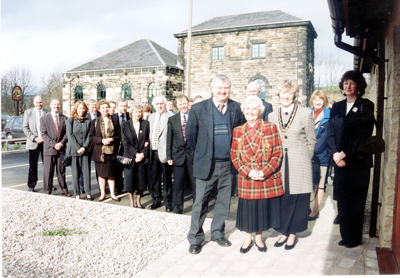 The fine stone buildings housed a beam engine which was to be used to extract water from the river Tyne through a gravel filled channel. 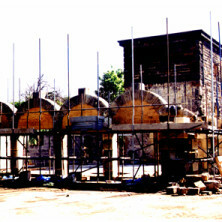 The water was used for drinking, brewing and general use by the citizens of Newcastle. The supply was not very clean, subject to ingress of salt from the tides, and the channel silted up rendering pumping impossi ble at times. 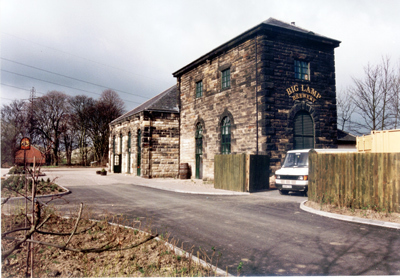 The Station was soon abandoned and the engines were moved to Wylam, where a replacement pump house still stands. 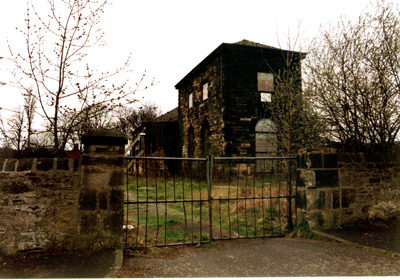 The Newburn building was used as a works depot during the first half of the 20th century, and was left as a ruin by 1996. 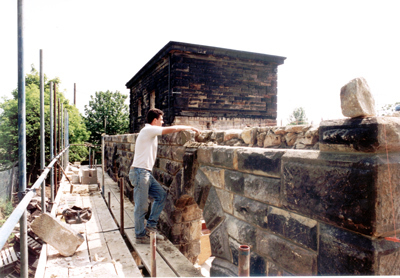 There was no roofing, the rafters had rotted, the foundations of the boiler house (the lower part) had subsided and the walls were cracked. 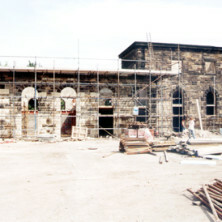 The Pumping Station was however protected as a grade two listed building. 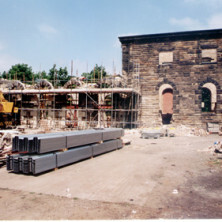 The following photographs were commissioned as a record of the careful disassembly and reconstruction of the Boiler House into the Keelman Public House and the conversion of the Engine House into the Big Lamp Brewery. 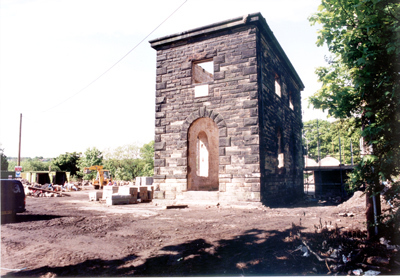 The Newburn pumping engine, from the Newcastle engineer Hawthorn, was first installed at Elswick. 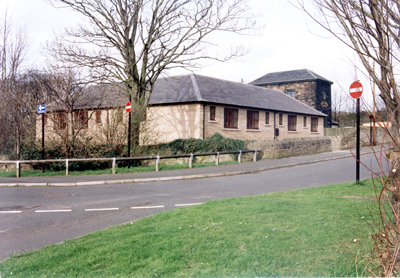 The development of a sewage system made the town river water unsuitable for domestic purposes. 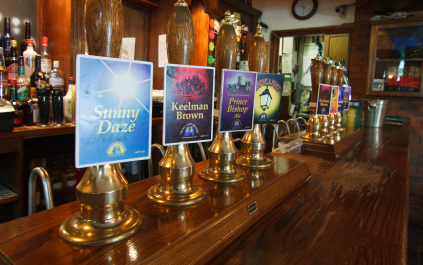 Water pumped from the Lower Tyne was a suspected cause of the 1853 Cholera epidemic and 1527 deaths. 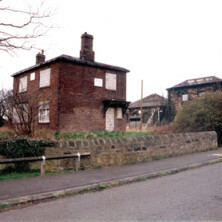 Hawthorn’s engine was consequently adapted and moved to Newburn in 1854. 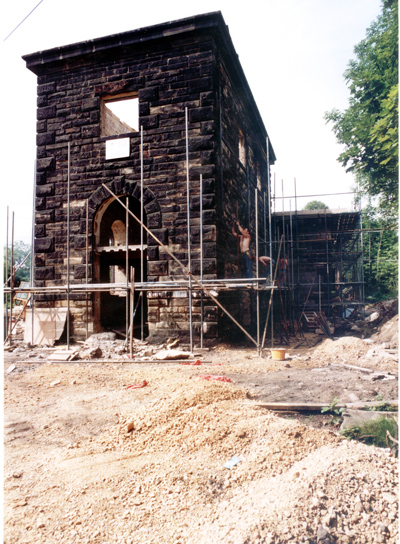 Rapidly increasing demand necessitated the construction a second brick built pumping station at Newburn. 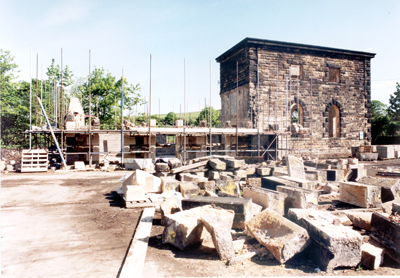 This accounts for the massive concrete slab which now forms the car park. 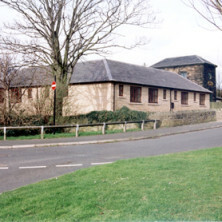 The new pumping station housed two engines which were made by Barclay. 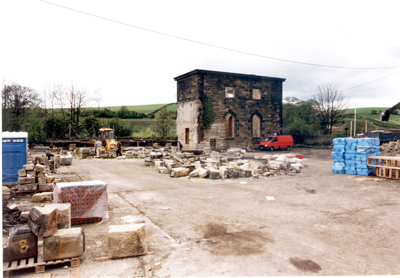 To obtain purer more regular supplies, the brick station was dismantled and rebuilt with it’s engines at Wylam, where it still stands. 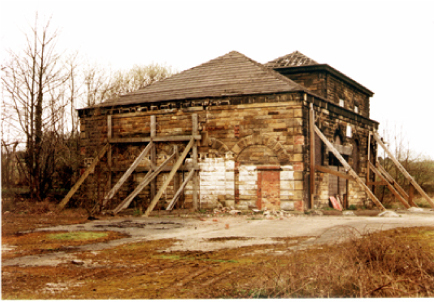 Although not used after 1867 the Hawthorn engine remained in the Newburn engine house until 1913, and was eventually dumped at the bottom of a disused mine shaft in Newburn . 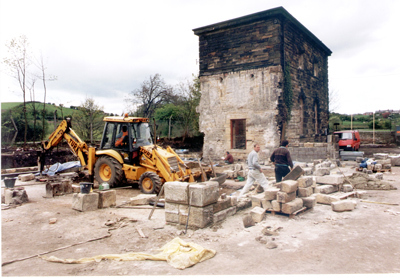 The Contractors are moving the mounting blocks, which had for a century previously supported the Cornish Engine. 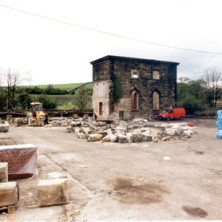 The blocks were moved from the sub-soil in the engine house on the 7th May 1996. 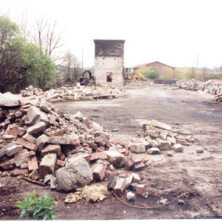 The stacks of numbered stones in the foreground were the dismantled boiler shed. 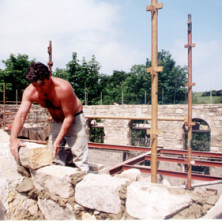 All were noted on a photographic plan in the site hut, and were re-assembled in their original places. 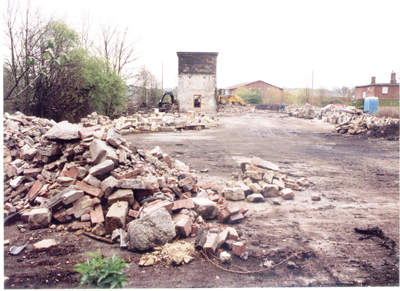 The cleared site of the Boiler house before the new foundations were poured. 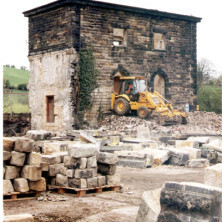 The rubble in the foreground was the remains of in-filling to the doors and windows which had been blocked up when the Pumping Station had been converted to a storage depot by the Water Company. 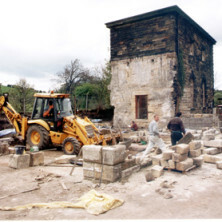 The first few blocks being replaced after construction of new foundations for the Keelman. 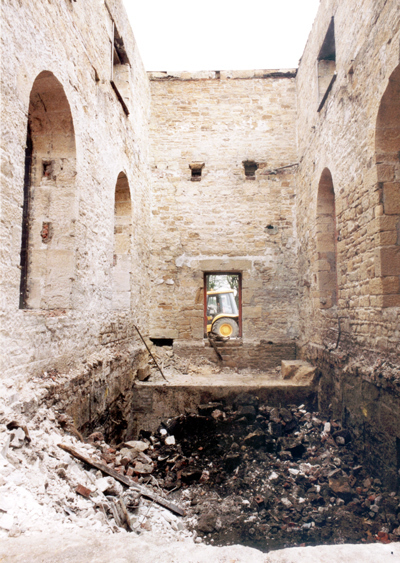 The engine house was much more solid since it continued several metres below the surface. 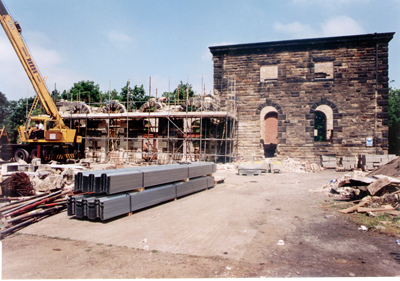 These shots were taken on the 16th May 1996. 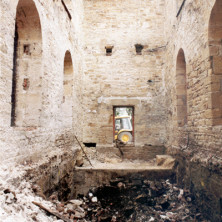 Inside the gutted and roof less engine house on 16th. 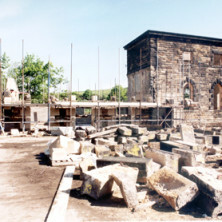 May 1996. 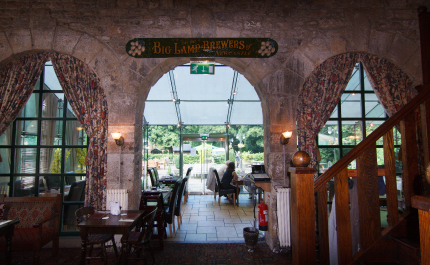 The huge Cornish beam engine was sited on large sandstone blocks, some of which now form a feature on the patio of the Keelman. You will find that some of the blocks were bored through to allow the rod from the engine to work the pump in the caverns below ground. 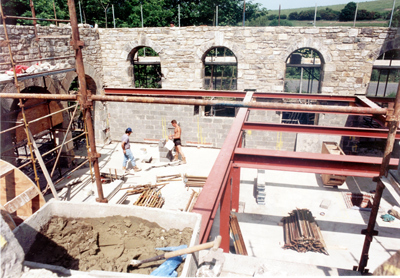 In this picture the caverns have been filled prior to capping for the brewery floor. 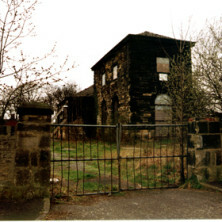 The burnt out Waterworks House which was built for the caretaker of the depot. 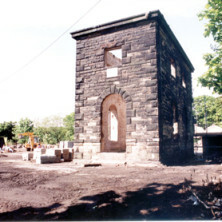 The Keelman’s Lodge now stands there. 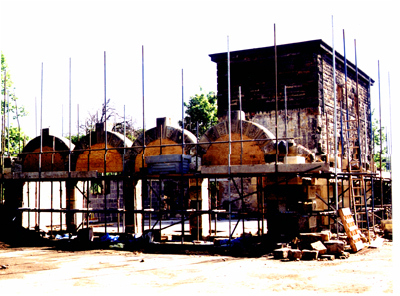 The store of numbered stones reduces as the arches are re-built and the doorways are formed. 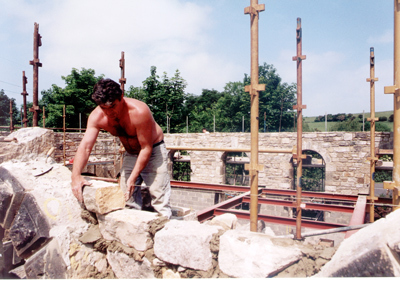 The summer of 1996 was unusually hot and dry. 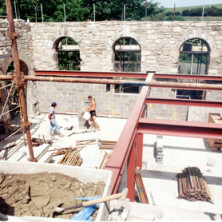 The Interior of the Keelman taking shape towards the end of June. 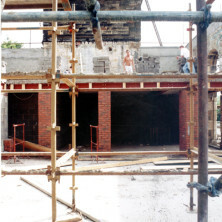 Block work on the entrance porch of the brewery 25th June 1996. 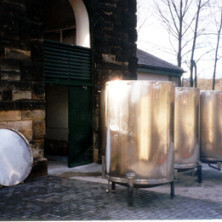 The cast concrete plinths in the foreground are for the racking back vessels. 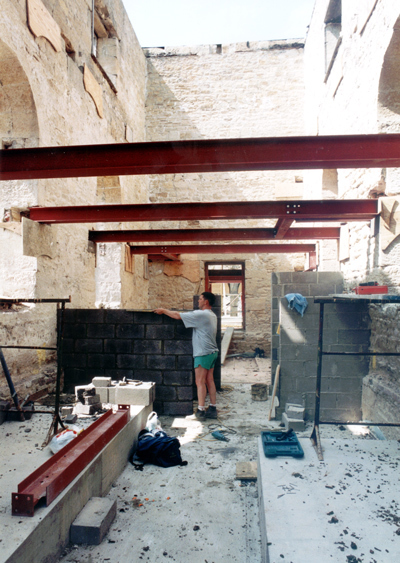 The substantial steel girders are needed to support the weight of up to twelve tonnes of beer in the fermenting room on the first floor. 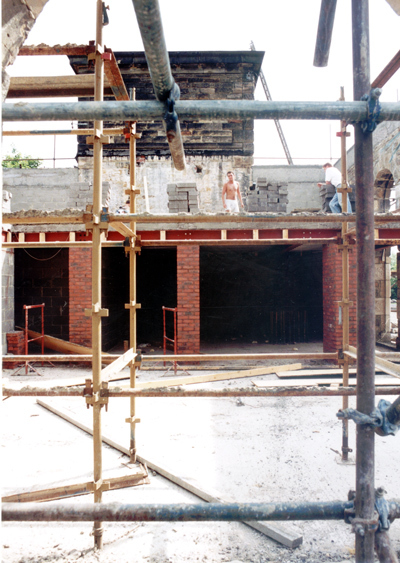 The top floor where the boiling kettle is now situated had not yet been started at this stage. 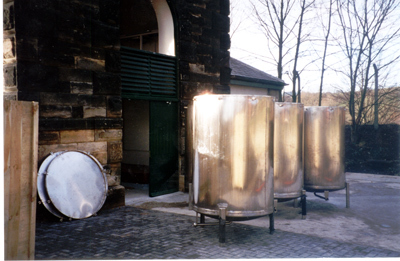 The brewery is organised on the tower principal, where gravity is used as much as possible to assist the flow of liquid through the process. 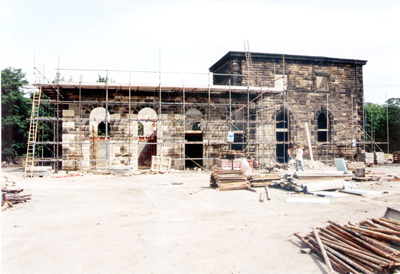 Restoration of the Pump House stonework nears completion on 23rd July 1996. 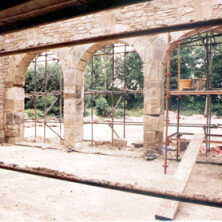 The fermenting room floor has been constructed, and can be seen crossing the front arch. Below the man working on the scaffolding a large area of loose ground was found. 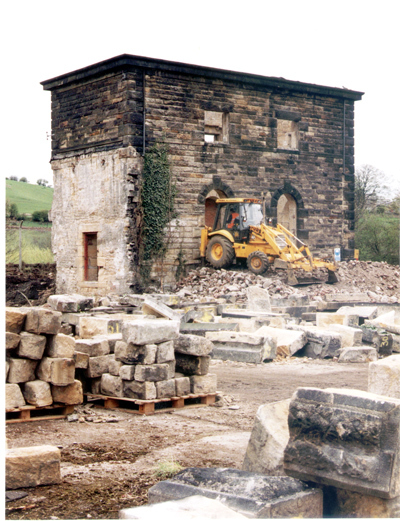 The steam ducts from the boilers to the engine had previously run along the back of the building, and the stone lined trench had been in filled with loose shale. 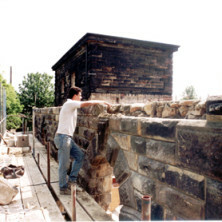 The stone work was almost complete by the end of July. 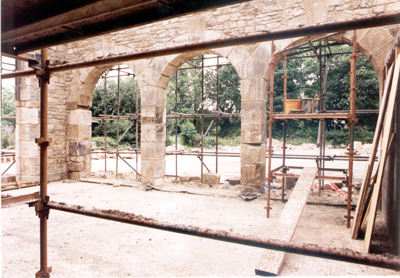 The arches in the view below now form the western windows of the Keelman. 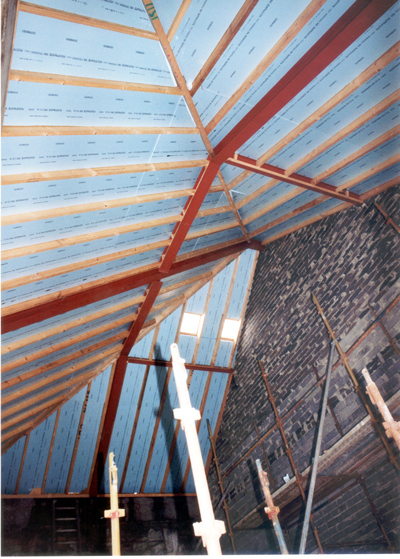 The roof above the Keelman. 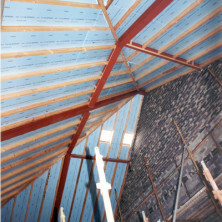 The ceiling follows the roof up to the present false ridge. 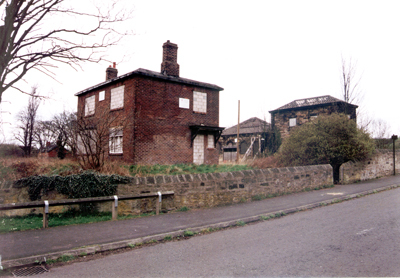 The large triangular void next to the high wall houses the ventilation equipment. 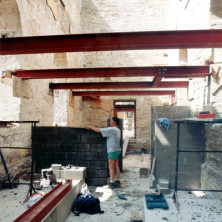 The wooden king beams that support the false ceiling are made using the original ironmongery from the old boiler house. 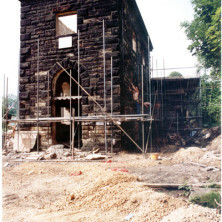 The Keelman’s Lodge was built to replace the Waterworks House, which was found to be beyond repair. 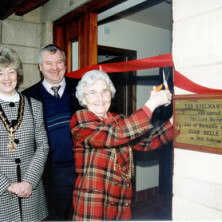 The Keelman’s Lodge was officially opened by the Lord Mayor of Newcastle, Councillor Belle Nixon. 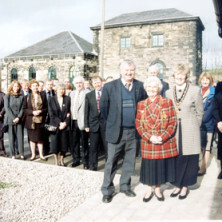 March 1998. 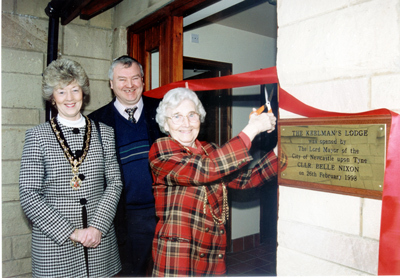 The Lord Mayor, the Lady Mayoress and Guests at the opening of the Keelman’s Lodge.